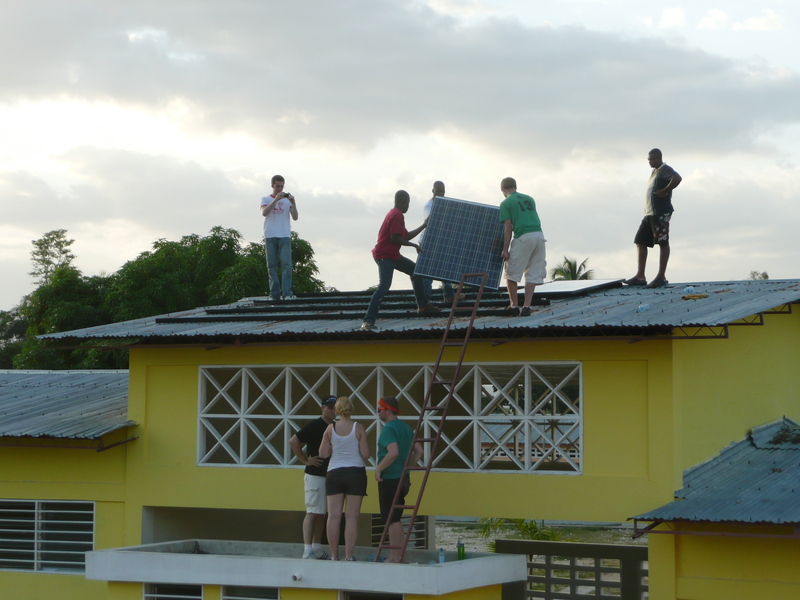 Successful solar installation in Lascahobas, Haiti to charge 500 laptops!!!!! The team consisted of Prof. Laura Hosman from Illinois Institute of Technology, Bruce Baikie from Green Wifi, 7 amazing students from IIT (Dhara Shah, Jacob Ernst, Mario Berrones, Regine Antenor, Ryan Tillman, Simon Brauer, & Stevie Brummer), Fabrice Urrizalqui from the French-American School in San Francisco, and Guy Serge Pompilus, Director of OLPC-Haiti. 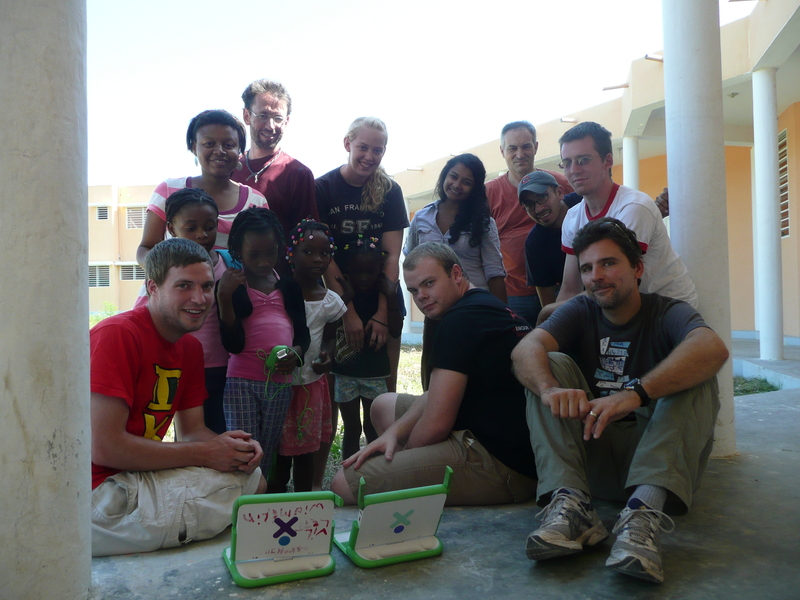 We were also joined by Adam Holt from OLPC HQ, Carl Friedrich Lacrete, an engineering student at the State University of Haiti, and by 4 members of Haiti Outreach, an NGO based in La Victoire, Haiti. 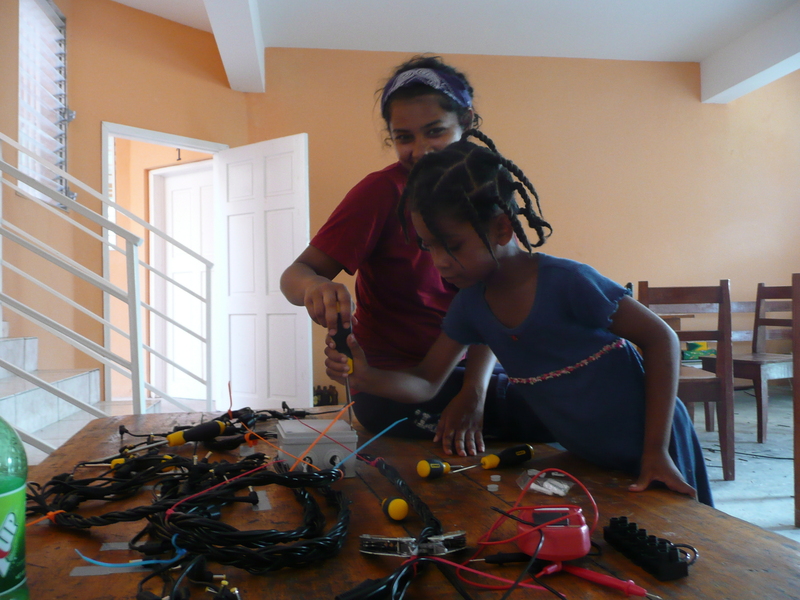 The team’s travels and major equipment purchases were made possible by an IEEE Foundation Grant supporting our work. But wait, there’s more! 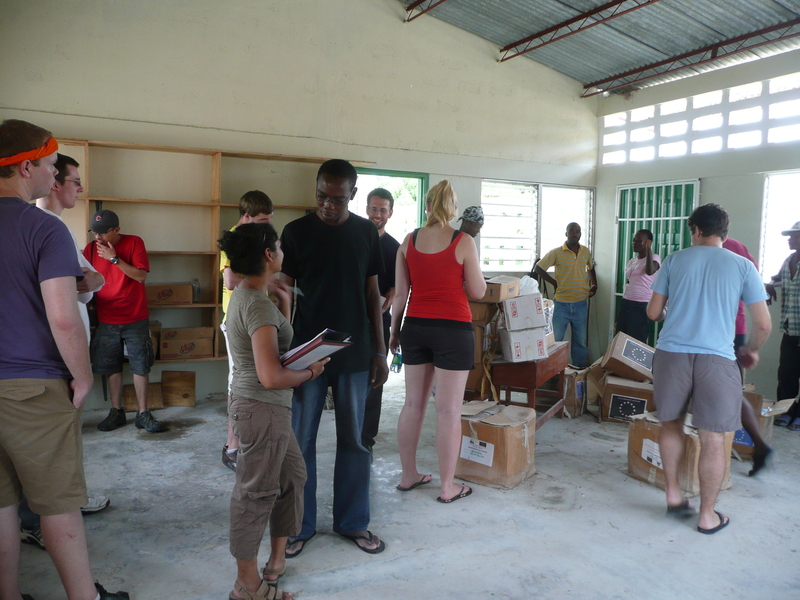 We’re extremely excited about the solar system, but there was far more to the project: The team also set up a brand-new library at the school, full of books in French and Creole, and created an inventory and catalog of the books, which will enable students and teachers to check them out once the school year starts. With the help of a team of local survey-givers, we carried out a baseline survey with 150 respondents, inquiring of both community members and teachers on technology and electricity use in the home, and of use of the laptops in the home and in the classroom. 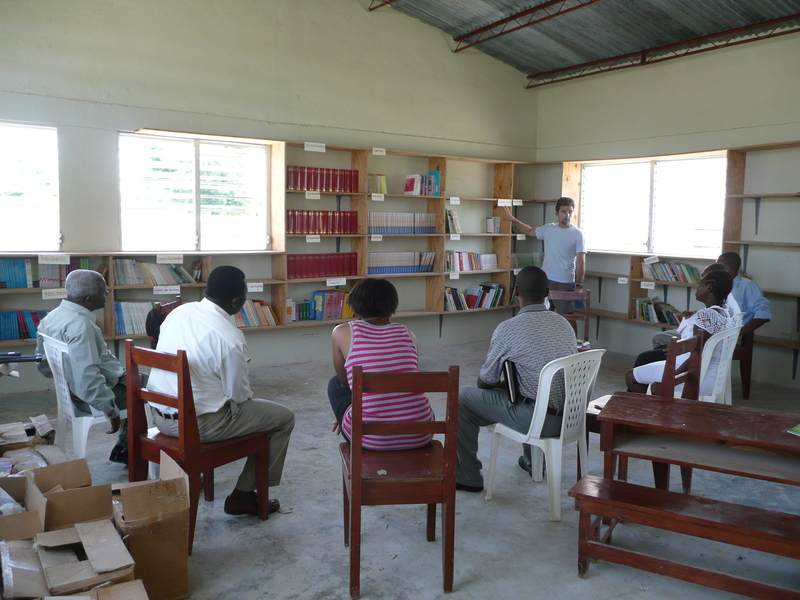 We also talked with the teachers at the school about using the library, and about lesson plans on solar power that our team will continue to develop over the coming semester. 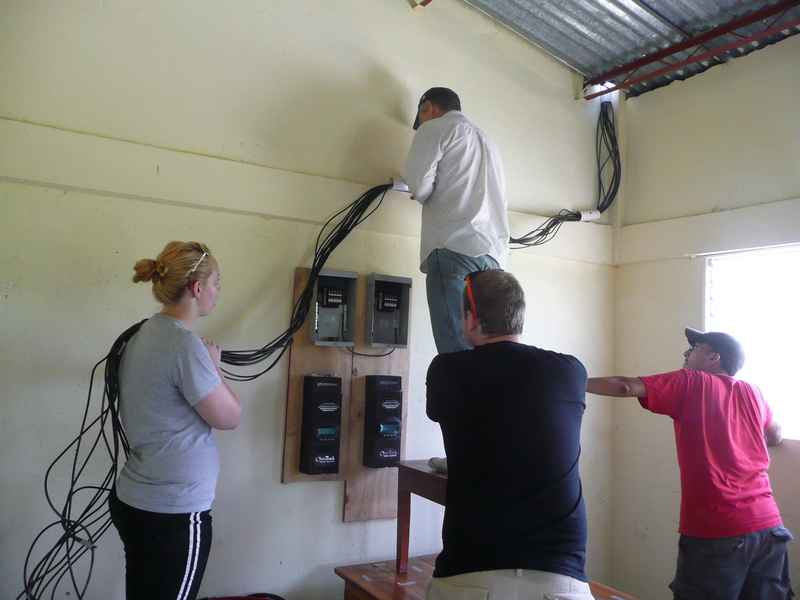 Furthermore, we trained the local maintenance staff as well as the school directors in how to keep up the solar system. 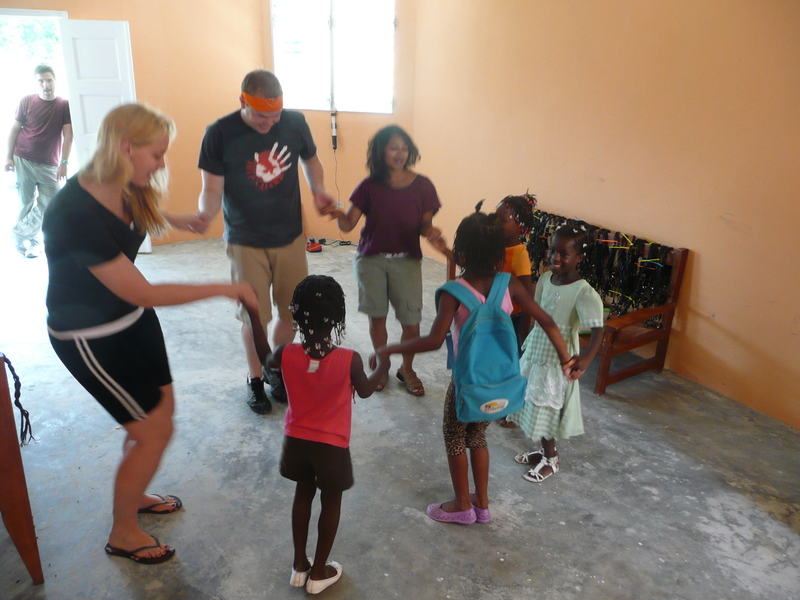 Below, our first excited customers! And we did all of this in just 8 full days on-site! Of course, there was nearly a year’s worth of planning, designing, and hard work that made such a brief deployment time possible. 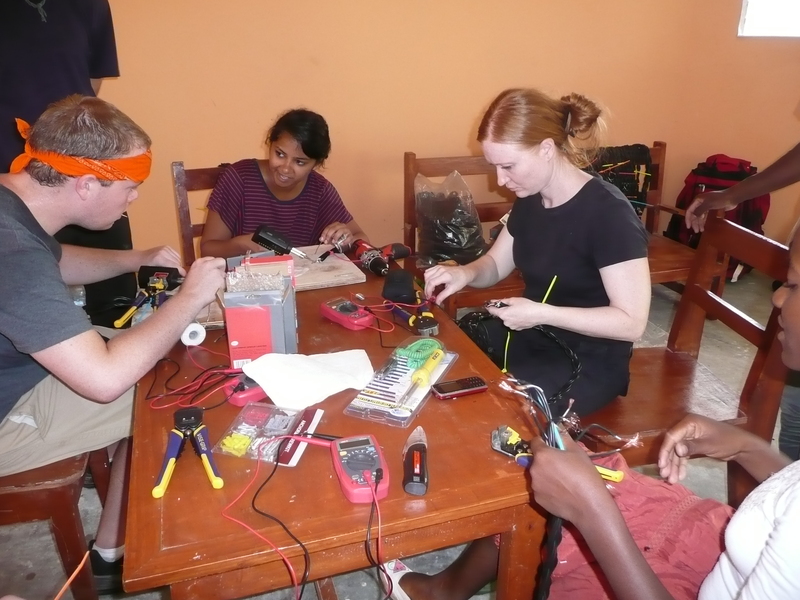 We’ve worked on the design, drawings, fundraising, lesson plans, and all the various parts of the project since our class at IIT started in late August, 2010. 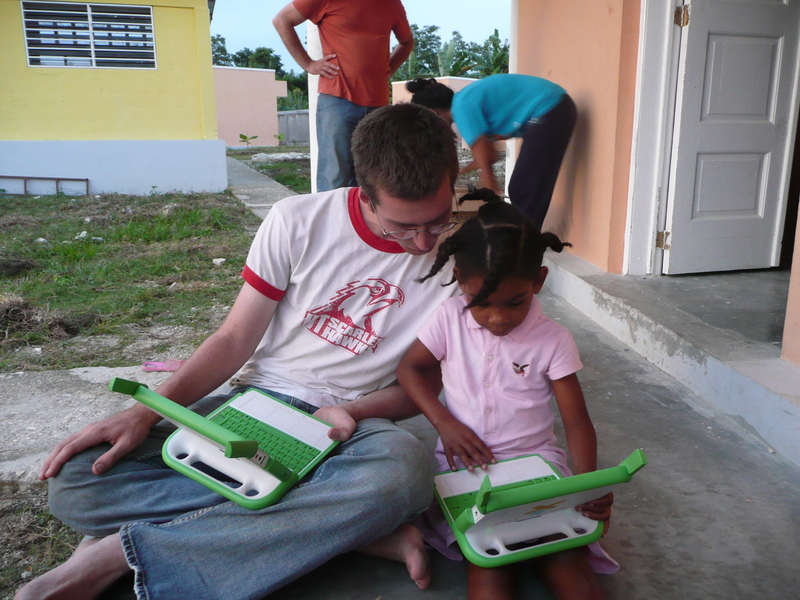 Since January 2011, our team has raised about $25,000 to buy all of the equipment and make the travel and deployment possible. And then there were the last-minute and on-site complications… Our design’s flexibility and replicability was put to the test right from the start when we found out a week before our trip that we’d be deploying at a different school than we’d done our designs and drawings for! So we improvised. 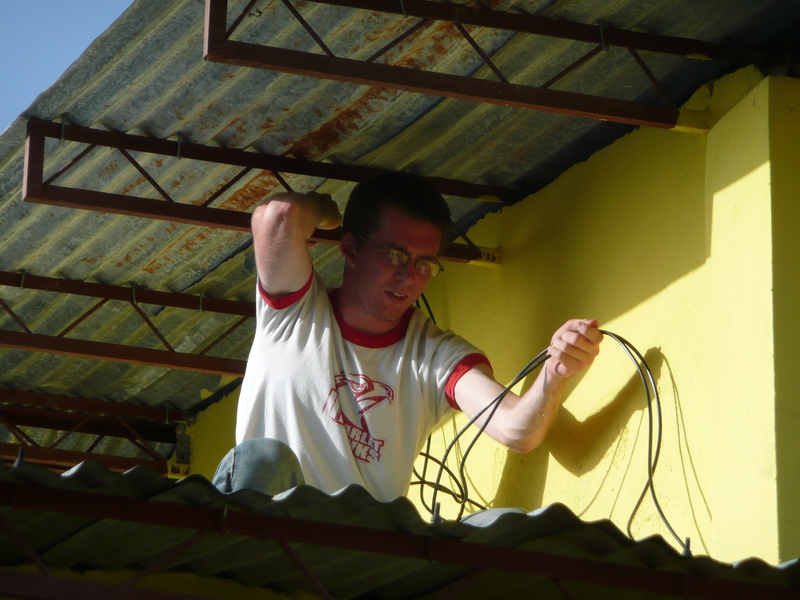 And then one of our boxes of equipment never made it through customs–so we improvised again. And then there was this tropical storm named Emily who had very similar travel plans to our own…but thankfully, her bark turned out to be far worse than her bite. 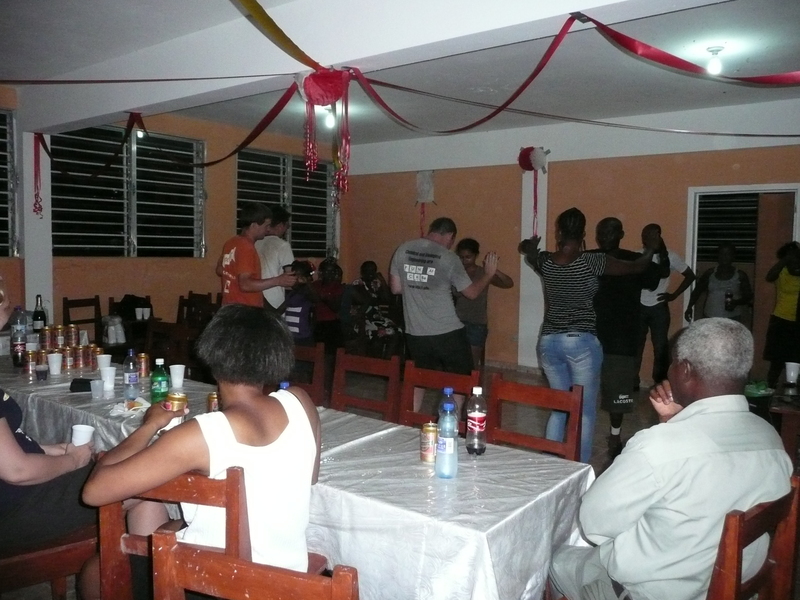 We had great opportunities to hang out with the students and other locals at the school, who threw a big party for us on the final night. 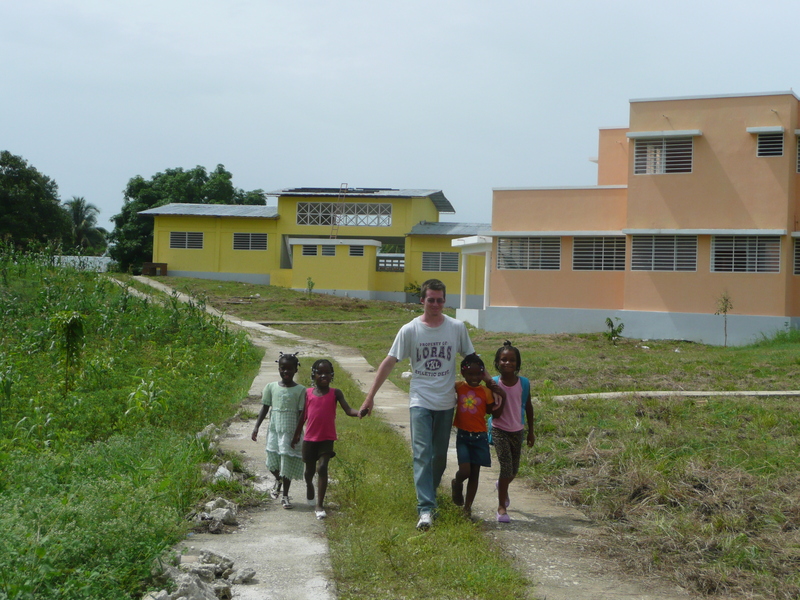 We were very sad to leave, but we hope to return in December 2011, to check on the deployment, bring some technical improvements and further-developed lesson plans, and do an installation at another school in the vicinity. That’s just four short months away! We have lots of work to do, lots of fundraising to do, too, but we’re really looking forward to it. 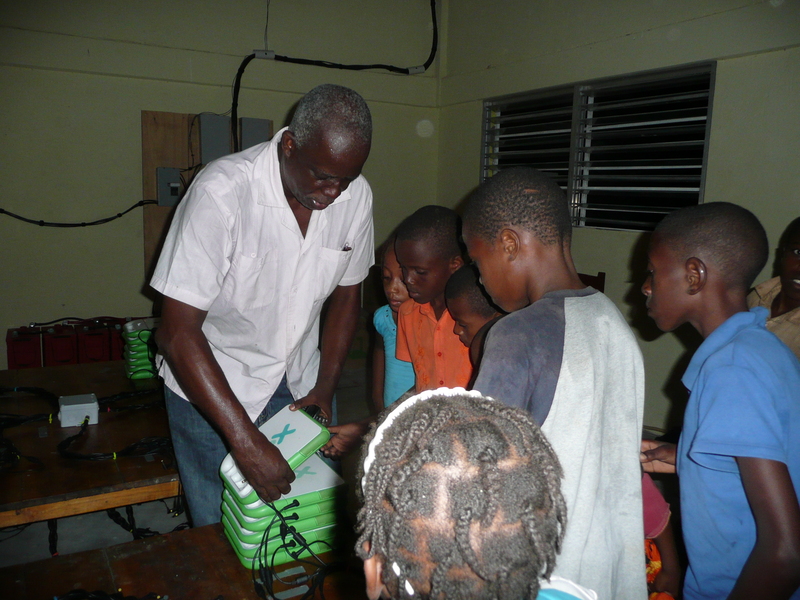 This entry was posted in Haiti, IIT, OLPC, Solar Power, Uncategorized. Bookmark the permalink. 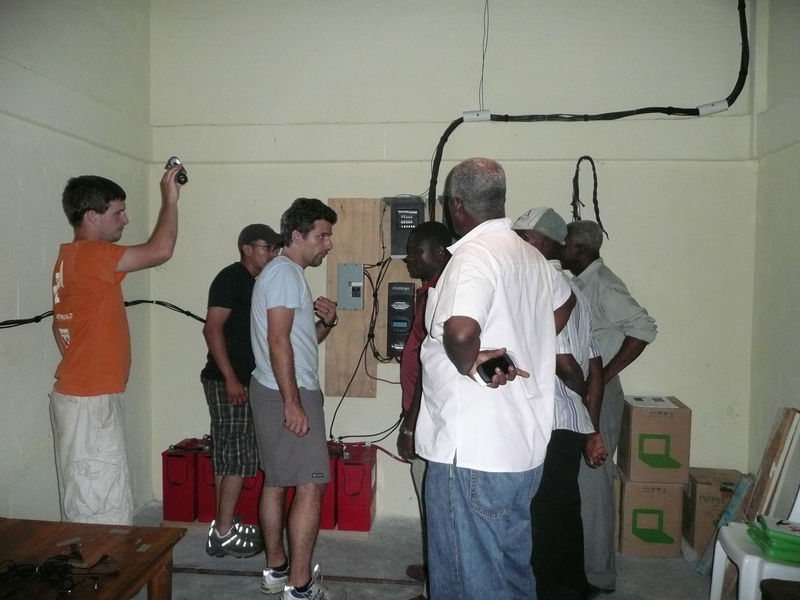 5 Responses to Successful solar installation in Lascahobas, Haiti to charge 500 laptops!!!!! this is very brilliant and generous of you guys. well done. I believe I am IIT’s oldest political science graduate. This story makes me once again proud of my alma mater. Congrats. Would love to hear more about how local people themselves were involved in decision-making, how they were involved in the installation and their capacities built to do this in the future, how they will (or won’t?) be involved in the leadership of this project, etc. Would also love to hear how the specific needs of women and girls will be met with regarding to tech & Internet access/instruction. Again, congrats. Jayne, thanks for your comment! 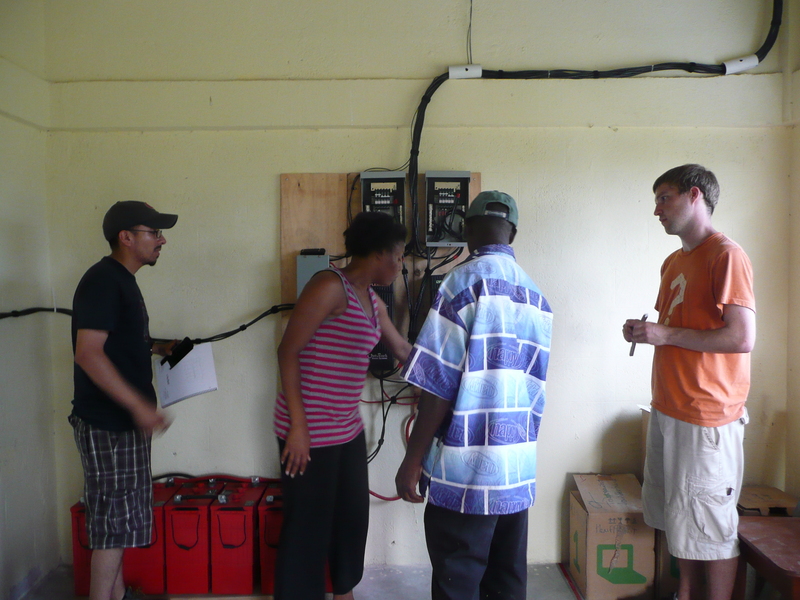 We worked with 5 employees of a Haitian NGO, Haiti Outreach, who already do solar installs, but haven’t done a direct current (DC)-only one. 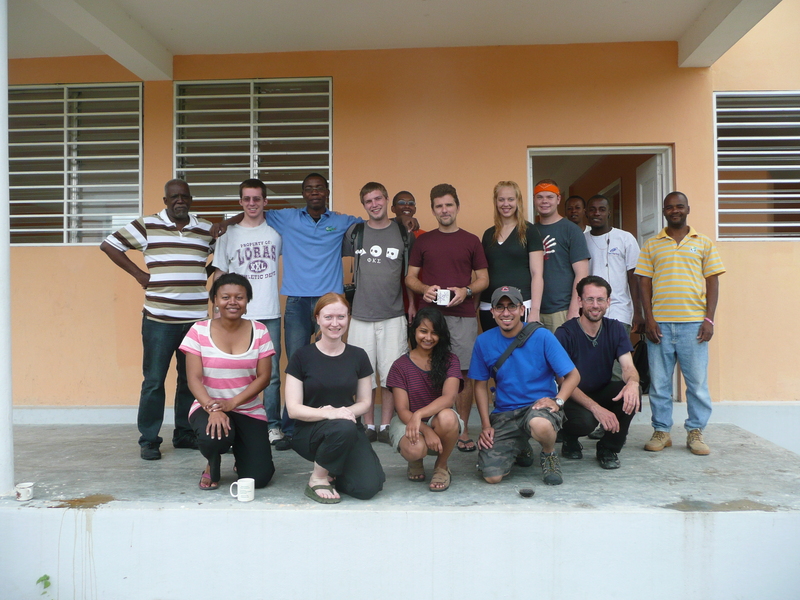 They helped us with the install–especially w/installing the panels on the roof, and we helped them understand the DC-only aspects of the project. 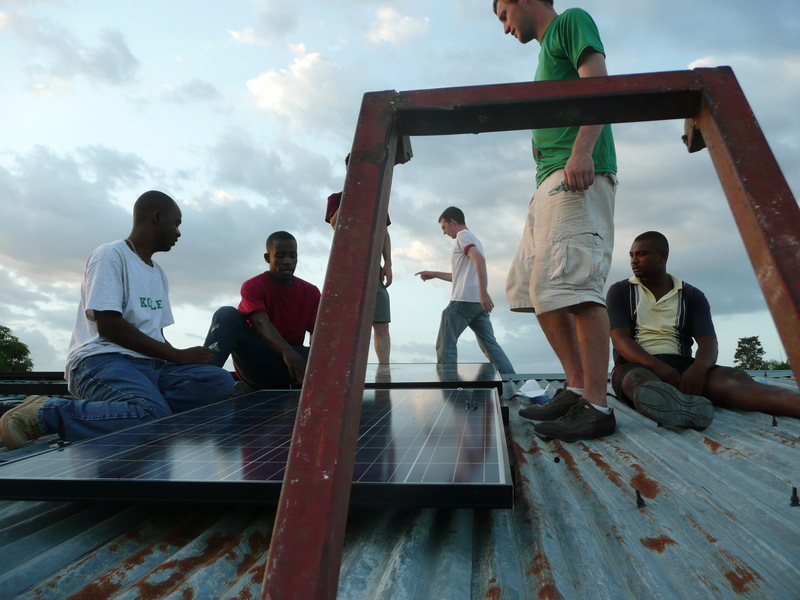 Our solar supplier was also Haitian–we felt it was important to buy locally and support the local economy, and we look forward to working with him again in the future. 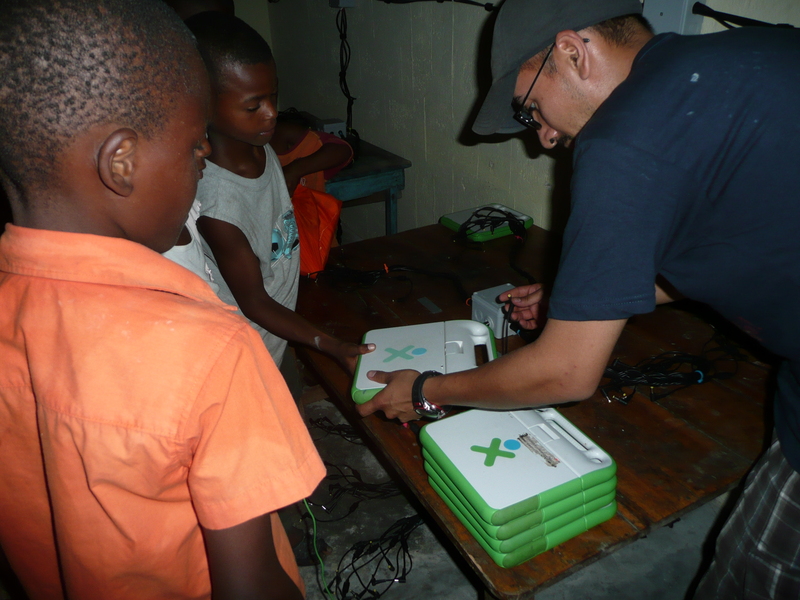 Our main partner in this project is OLPC-Haiti, which operates under the aegis of the Haitian Ministry of Education. 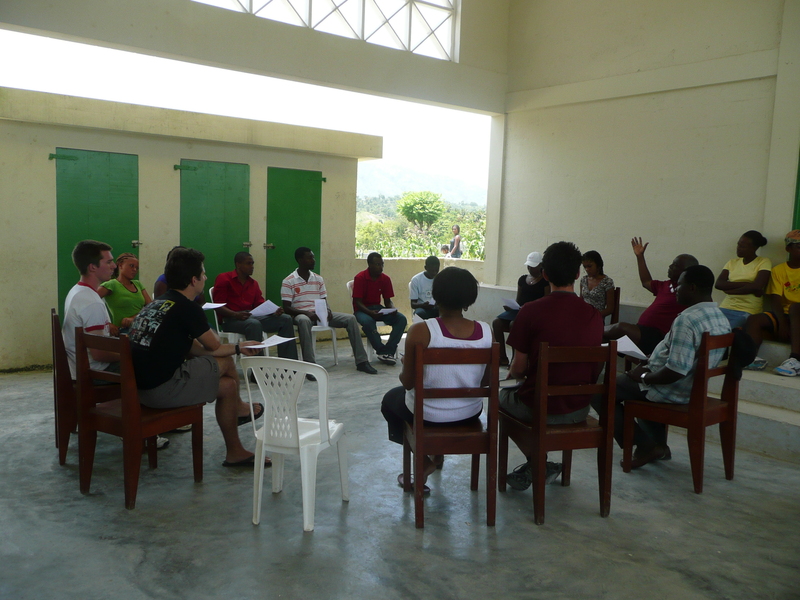 I would say that they are the main decision-makers regarding most local aspects of the project, although the school’s headmaster and principal were present and participating in the project and decision-making. Finally, we did our best to train the local maintenance man in equipment maintenance. And I can also say that the provision of the laptops to all students in the schools that received them–without respect to gender–is important. We were also told more than a few times that locals had commented that they were surprised that the female members of our team–about half of our ranks–were able to do the same technical work as the males. 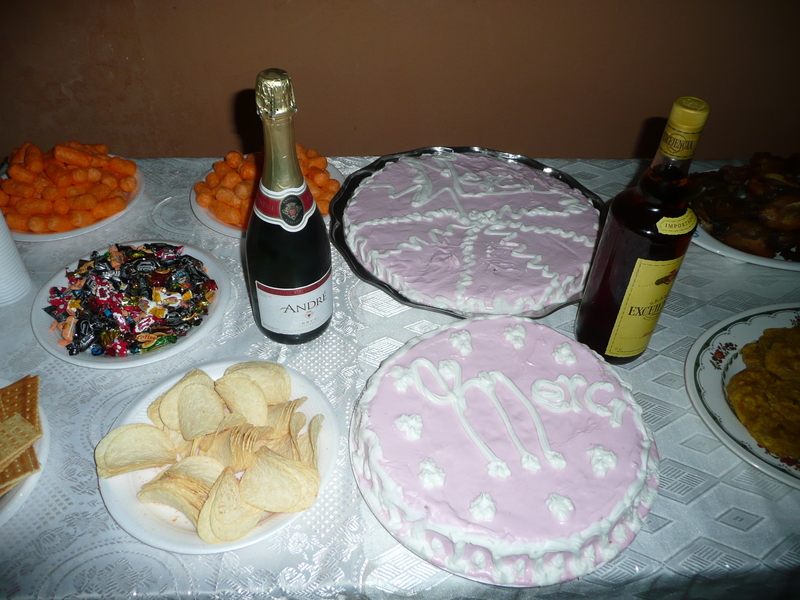 So we were demonstrating in person to the young local students, what is possible for females to accomplish.